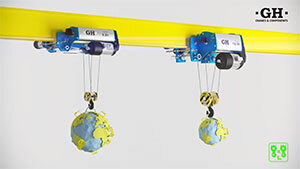 Our new product range is equipped with state-of-the-art technology | GH crane and hoist manufacturer. 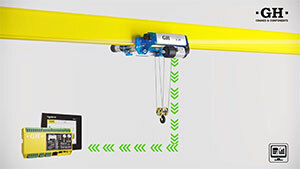 Synchronisms in lifting and translation, antiswinging, connectivity and registering and monitoring data. Synchronisms in lifting and translation. 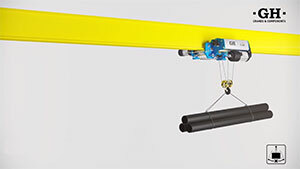 With different capacity hoists we achieve self-compensating real synchronization in hoisting and in cross and long travelling. 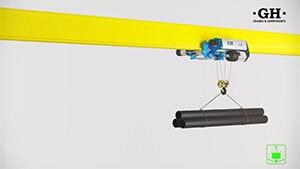 New anti-swing system to improve the stability of the load on the hoist hook. Data collection in real time. 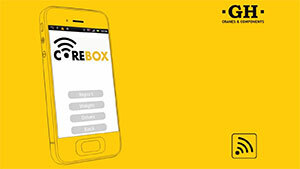 USB, WIFI, 3D, Tablet – Smartphone, PC, Radio Remote Control. Overloads, SWP calculation according to EN 15011, Number of operation, motor control data.